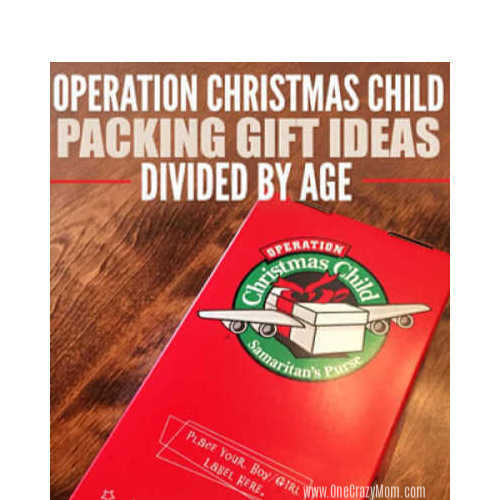 We have a huge list of Samaritan’s Purse Operation Christmas Child Gift Ideas. This list is is divided by age to make packing a box simple and easy. We are talking about Operation Christmas Child Gift Ideas. Many parents share that they want to get their kids involved with volunteering and serving others , but it can be challenging to find the right cause. 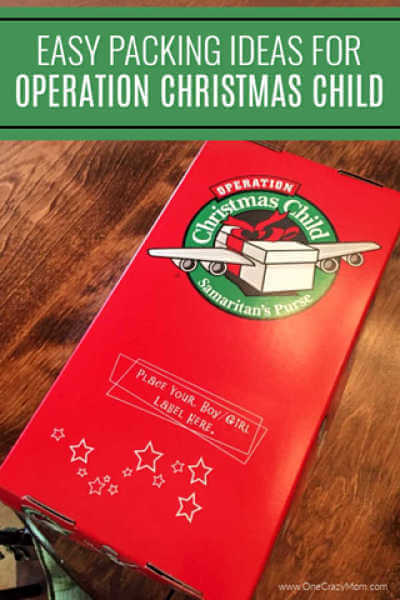 Operation Christmas Child is a great solution which is why I wanted to take a few minutes to give you Samaritan’s Purse Operation Christmas Child Gift Ideas. Created by Samaritan’s Purse, Operation Christmas Child provides shoe boxes of gifts to children around the world, and each recipient is offered the opportunity to enroll in a Bible study course. Planning and packing a box or two is a wonderful way to involve your kids in service and also talk with them about other countries and cultures. Samaritan’s Purse is a tax exempt 501 c 3 organization tax exempt charity that is part of Franklin Graham Worldwide offices. Operation Christmas child United States statement of faith mission is a great way to help those less fortunate. After sharing the story of the Good Samaritan, Jesus said “Go and do likewise.” That is the mission of Samaritan’s Purse—to follow the example of Christ by helping those in need and proclaiming the hope of the Gospel. For more information Graham worldwide offices contact info can be found here. 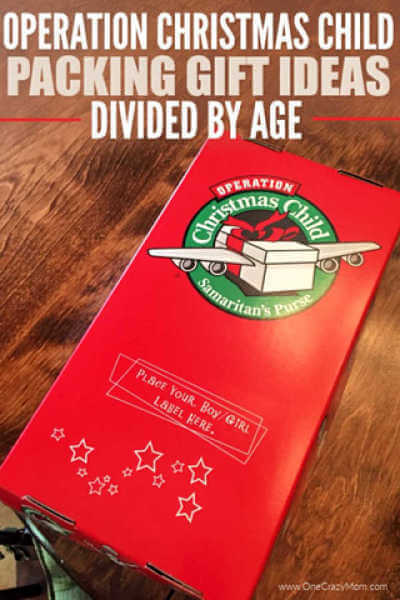 Samaritan’s Purse Operation Christmas Child program is simple. You select whether your box will go to a girl or boy, in one of 3 different age brackets: 2-4, 5-9, or 10-14 years old. Have your kids help you select items to fill the box and pray over the contents and recipient. If you choose to track the box, take the time to research the country where it was delivered. National collection week this year is November 12-19, and there are many locations where the boxes are accepted. If you start shopping now, you can purchase items when they are on sale and make the most of your money. 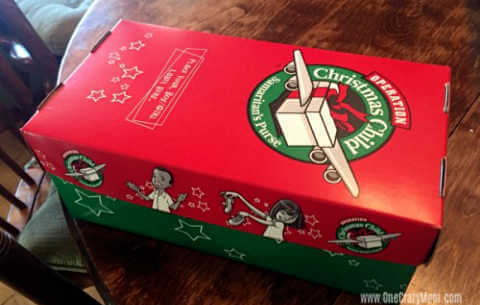 Where to get operation Christmas child boxes? Many churches or organizations have them on hand and you can pick one up. You can also build a shoe box online as another option. I like to make Operation Christmas Child plastic boxes. You can pick up one of these plastic boxes (size of shoe box) from your local dollar store, Target or wherever you shop. These are great because the kids and their families now have a plastic container that can be used for other purposes. 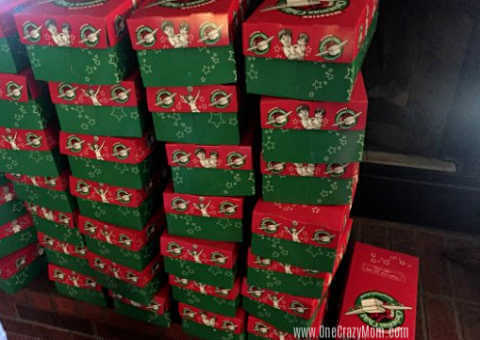 Some years we have just used the free shoe boxes for operation Christmas child. Whatever you choose is totally up to you. So what should you put in the Samaritan’s purse operation Christmas child shoe box? Here are some ideas for each age group. A good rule of thumb is to include one larger-ticket item (such as a doll or action figure or stuffed animal) and fill the rest of the box with smaller items. Some people like to include a personal note. 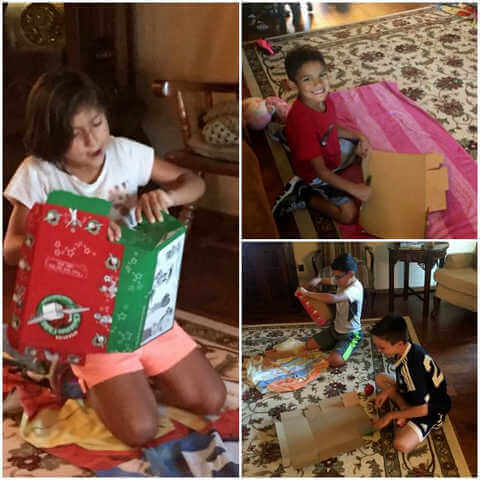 What are more Operation Christmas Child Shoe box ideas? You can see below some of the Operation Christmas child 2017 ideas we used last year. If you are looking for the Operation Christmas Child List pdf, we have it all listed below for you. Simply bookmark this list or print it out for your shopping trip. I like to pick up items as I spot a sale. School supplies are great items to catch on sale and use for shoe boxes. You want to include hygiene items in each box. These are very inexpensive especially if you are using coupons or catching a sale. 13. Small vehicles – cars, trains, trucks, motorcycles, etc. Avoid battery-operated toys. Not only may it be hard for the child’s family to replace the batteries, but battery acid could leak and ruin the other items. Also, button batteries (which are in any small toys that make noise) pose a hazard to young kids. Provide a re-sealable sandwich bag for easy storage if any of your items have pieces (such as apuzzle). Stay away from anything with instructions. Even if the child is of reading age, you don’t know where the box will go and what language they speak/read. Running short on time? You can provide monetary support for shoebox filler items rather than preparing and sending the box yourself. See! It is easy to do. My goal is that these Samaritan’s Purse Operation Christmas Child Gift Ideas inspire you to take a few dollars to pack up a box or two this year to help a child this year. My mother packs up 75 boxes each year! Sure… we can’t all do that, but if we all pack a box or two… we can make a difference. If you have heard about the Samaritan’s purse operation Christmas child controversy, it seems sort of silly to me that people are making a fuss about Christian literature being placed in these boxes. I think it is a great way to not only give a child something for Christmas but also reach people for Jesus in these shoebox gifts. he Samaritan’s purse website is a great resource for more information and tips. Head over here for more information on the mission statement employment Franklin graham offices. You can also find more information on contributions designated for specific organizations and employment Franklin Graham worldwide should you like to research more. My kids put together all the boxes for my mom’s gift boxes and they loved every second of it. Are you looking for a few free Christmas coloring pages for your kids this holiday season? We have 15 Christmas coloring pages for kids of all ages to enjoy. Learn how to focus on True meaning of Christmas. We have 7 way to help your family learn the true meaning of Christmas. We are so blessed sometime we forget the items that we are so use to having we forget not everyone has them.